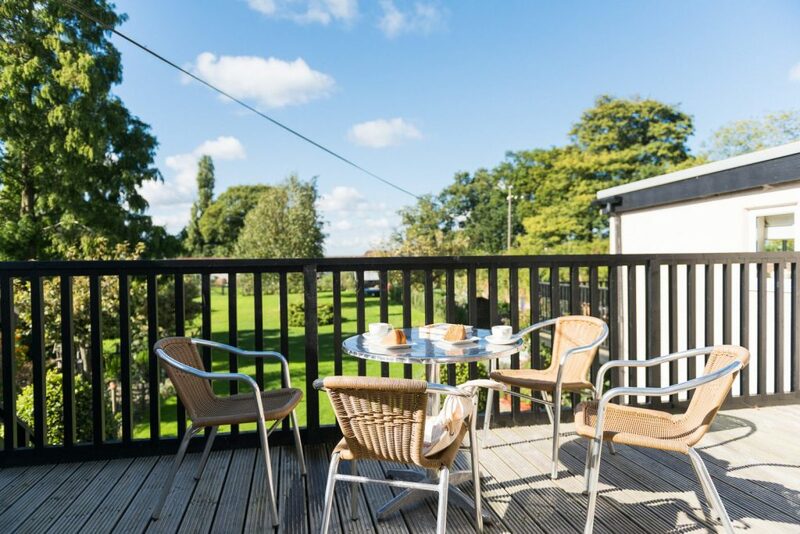 Offering accommodation for smaller family groups or couples, these quirky apartments sit at the centre of Clippesby Hall’s family holiday park, converted from the old stable block. 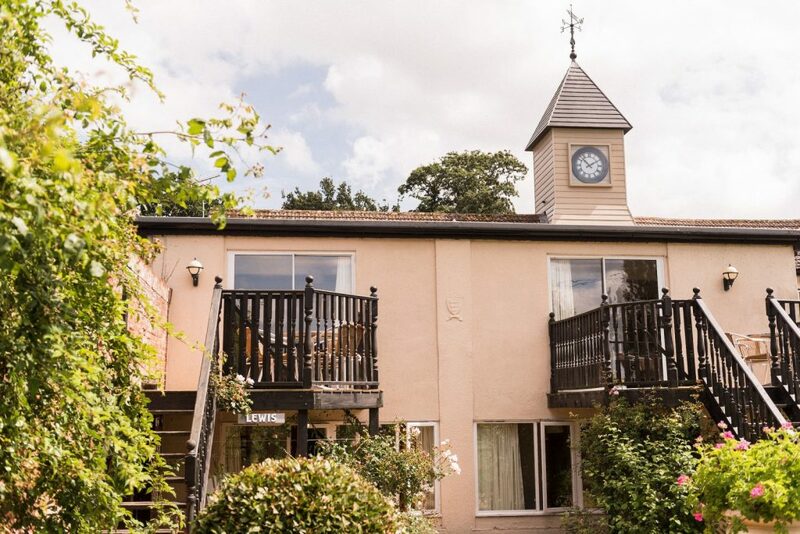 Looking out over the lawns of the old walled garden, each apartment has its own private decked balcony, ideal for enjoying the wonderful sunsets and awe inspiring night skies, or an afternoon in the sun with a good book. The apartments provide easy access to most of the park’s facilities and activities, including our outdoor heated swimming pool, children’s play area and the Muskett Arms, our bar and restaurant, while the rest of the park’s attractions are not far away. All the apartments have an external staircase leading to the first floor entrance. Sliding doors lead into the open plan living, dining and kitchen areas. 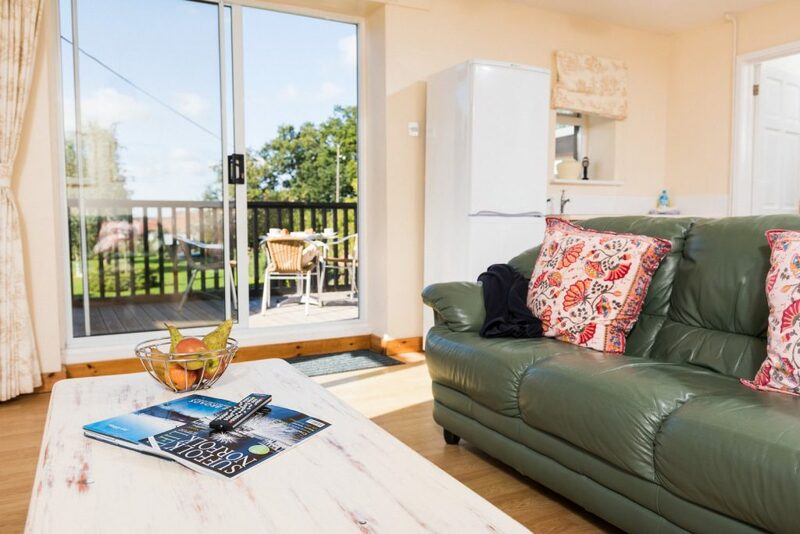 Comfortable leather sofas together with flat screen televisions including Freeview access and integral DVD players provide ideal areas to reflect on the day’s activities and to plan for tomorrow. 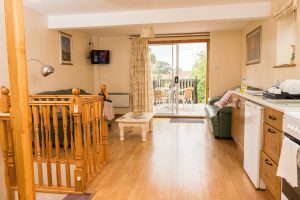 Each apartment has a pine dining table and seating for four together with a good range of appliances including an electric oven and hobs, fridge / freezer, toaster, kettle and microwave oven, with all the equipment you need for a family holiday. Heating is provided by all-inclusive electric heaters. ANGUS is the furthest south of the apartments, with all accommodation on the first floor. It enjoys a very large decked balcony overlooking the lawns and shrubs of the old walled garden. The living area is full of light, owing to the triple aspect windows. A door from the living area leads to a hallway and then doors to the 2 bedrooms, 1 double and 1 twin room, both with east facing windows benefiting from the morning sunshine. The bathroom is fitted with a bath including a shower over, a hand basin and toilet. FIFE is the middle apartment, with a pine staircase down from the living area to the bedrooms and bathroom, fitted with a stair gate. 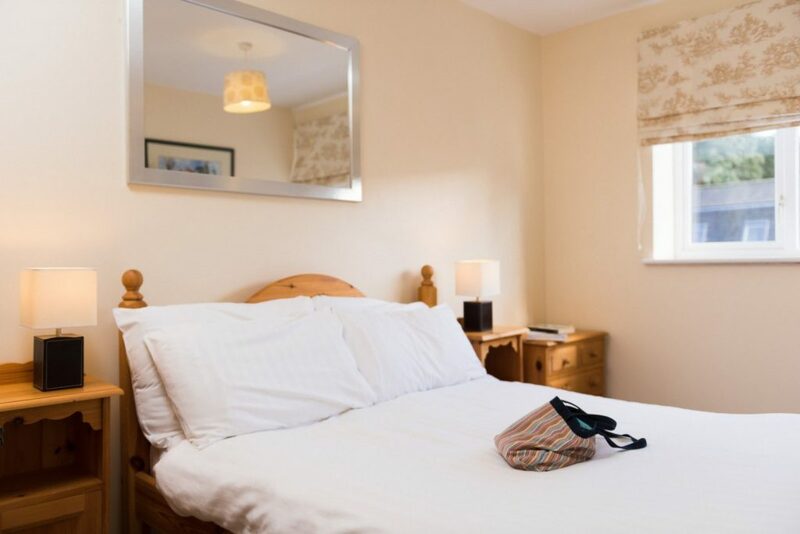 There is 1 large double bedroom and 1 twin bedroom, with ample storage space including chests of drawers and wardrobes. The bathroom is fitted with a bath including a shower over, a hand basin and toilet. LEWIS is the furthest north of the three apartments, and as with Fife has a pine staircase down from the living area to the bedrooms and bathroom. There is 1 double bedroom and 1 bunk room, with ample storage space including chests of drawers and wardrobes. The bathroom is fitted with a bath including a shower over, a hand basin and toilet.